NEW SCHOOL METS OLD SCHOOL EQUALS COOL SCHOOL!! 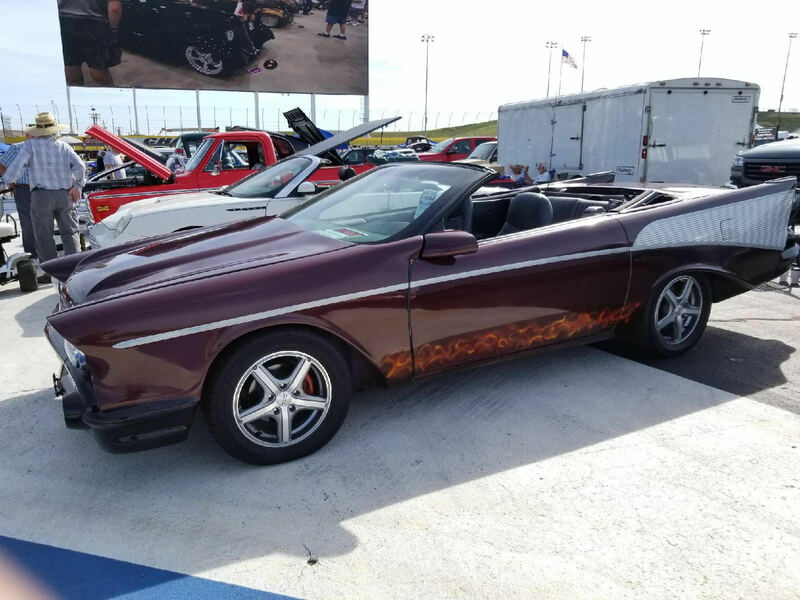 This is a 1995 Camaro Z28 Convertible that has been re-bodied to resemble a 1957 Chevy Bel Air. Custom paint with airbrushed flames on the rocker panel and airbrushed stripes on the fins. New American Racing tires/wheels. Numerous hours in the design, assembly, and paint. A true one of a kind! Runs as good as it looks. LT1 engine. A real eye-catcher. Low starting bid...our loss is your gain. Really not my cup of tea, but I'm impressed with the job the builders did integrating the fender tops with the side-mirrors. 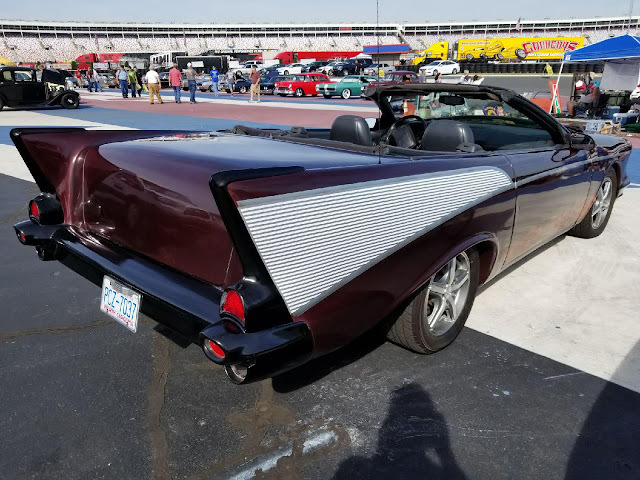 Windshield rake blows the whole look, imho. If it wasn't for the bad proportions, crapy interior, and silly airbrush it would be half bad! As it's a body kit, One of a kind diminishes. Unless it's like a Marti Report where it's the only one with the facutory toaster installed.